If the way to a woman’s heart is through her stomach, it’s no wonder I’ve been an abject failure at wooing the ladies. I am to cooking what an elephant is to ballet. So it was with low hope that I set off for cooking classes in Italy. After all, even my nearest and dearest describe my culinary skills as, nutritious but extraordinarily bland. Tastebuds were largely redundant at my dining table. 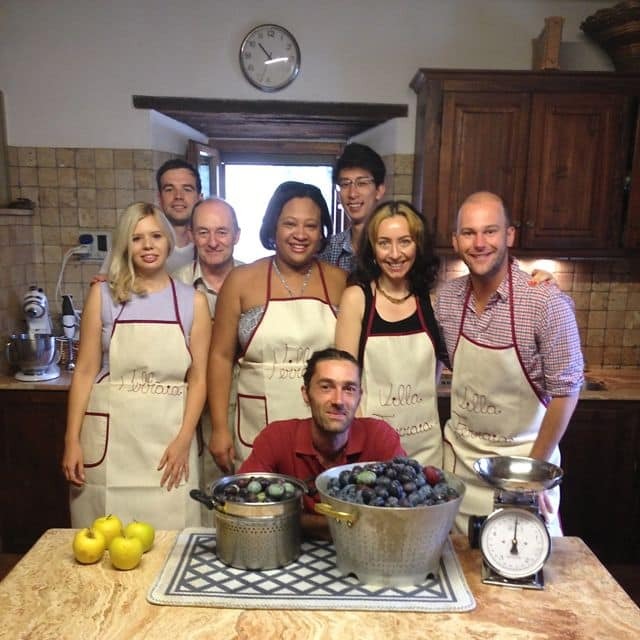 At Villa Ferraia, high up in the hills near Siena, Tuscany, I was to take part in cooking classes arranged by Eating Italy. I was heading to a country renowned for its cuisine. 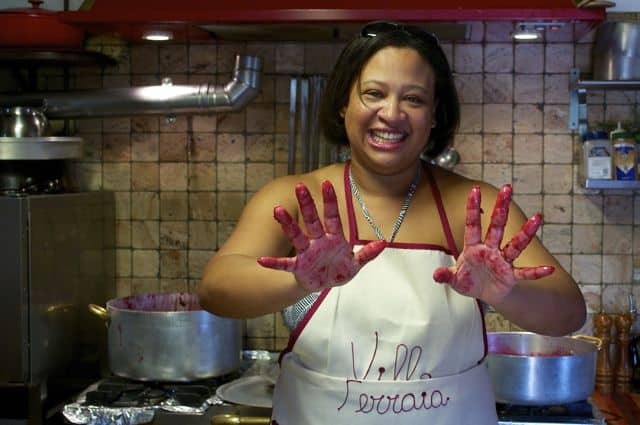 People have long taken cooking classes in Italy returning home with impressive culinary prowess. Yet I felt somewhat like a lamb being led to slaughter. I flew into Florence airport and was met by Villa Ferraia’s owner Vittorio who whisked me off for my cooking adventure. 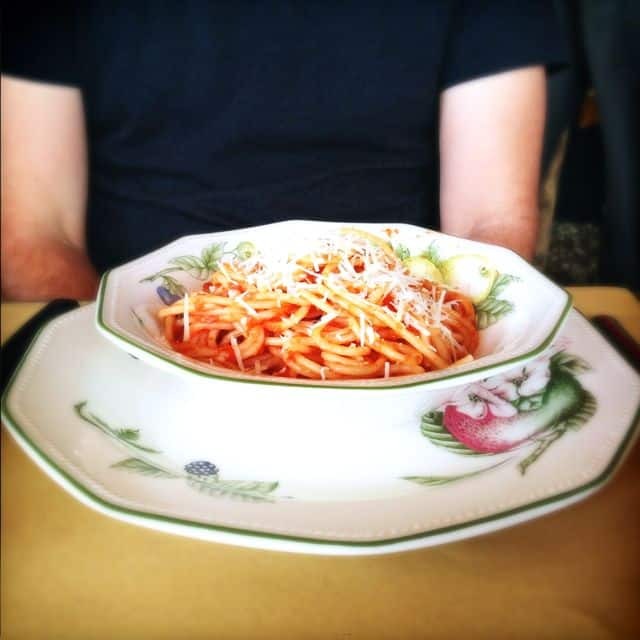 The villa is quintessentially Italian and epitomised refined simplicity. 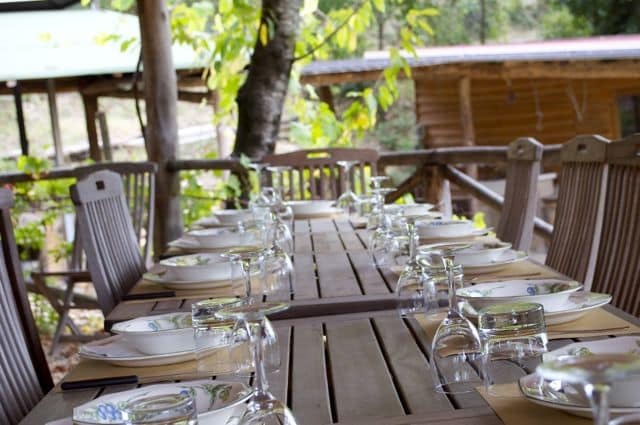 Tastefully decorated, resting in a wonderful countryside location, and with gardens overflowing with organic produce, it pays homage to great Italian food and wine. 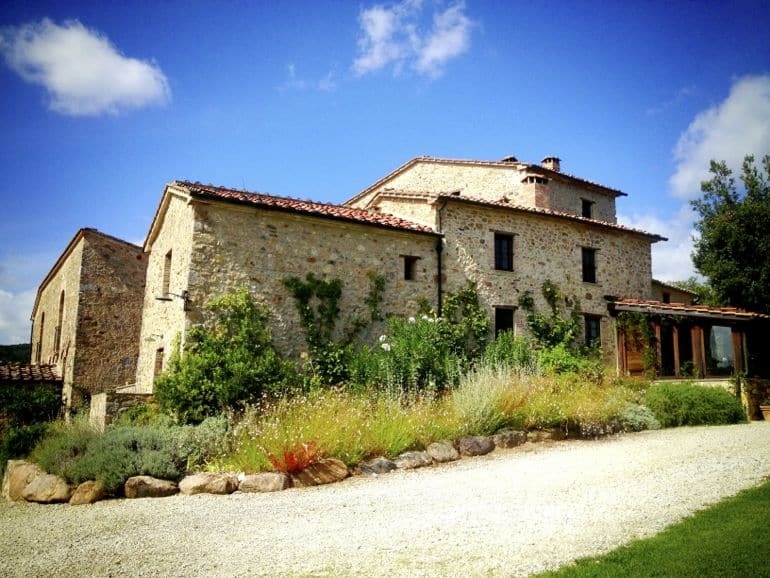 The villa is set amid 100 hectares of secluded Tuscan countryside. An almost 10 minute drive from the main road, ensured there was no traffic noise, or even sight of other buildings. It was rural, remote and blissful. Still at 10am on the first morning I entered my lion’s den, or the kitchen as my fellow cooks called it, and was greeted by our Italian chef and instructor, Stefano. The musicality of his voice and his calm demeanour was reassuring for those of us feeling a little nervous. 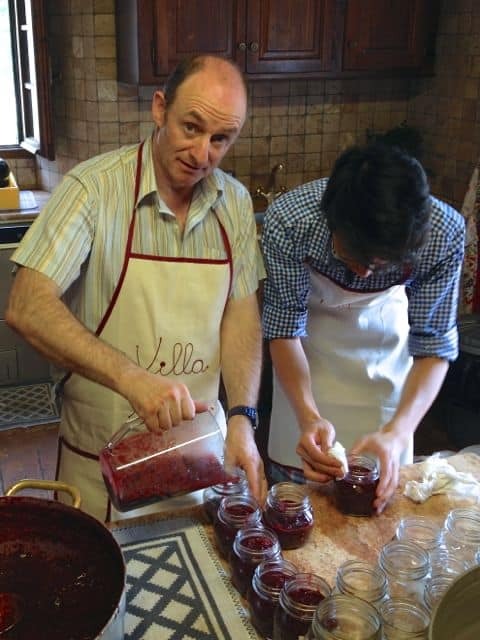 After donning aprons, our introduction to Italian cuisine was as surprising as it was delicious – we made plum jam, made with plums gathered in the villa’s garden. 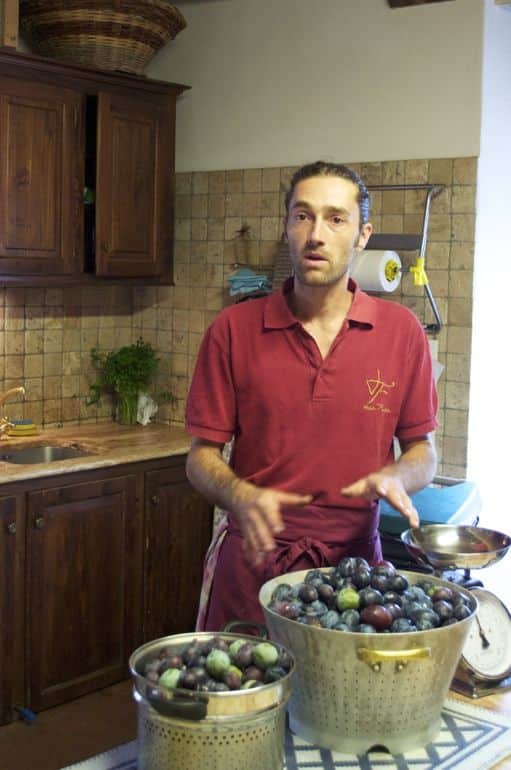 And it was there for our breakfast in the coming days – in fact we largely had to cook to eat on our stay at Villa Ferraia – but isn’t that what a cooking experience is all about? Feasting on the fruits of your labours. Next Stefano dusted the island in the kitchen with flour as he prepared for us to make our lunch. 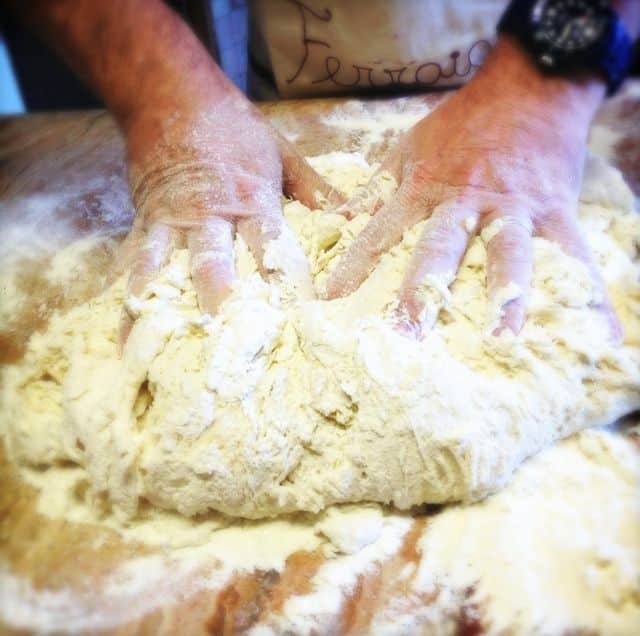 Gnocchi was on the menu, and it was a revelation – easy to prepare, quick to cook, fabulous to eat. After lunch and with the ever attentive Stefano guiding us through our cooking classes in Italy, we began to make our evening meal of aubergine parmigiana, handmade tagliatelle and tiramisu for dessert. I was anxious to get things right, paying close attention to Stefano’s instructions. But as he joked with our group of wannabe cooks I started to realise that cooking could be fun and at the same time I was actually learning. I learned about equipment, ingredients, cooking procedures, and most importantly that cookery was not rocket science. 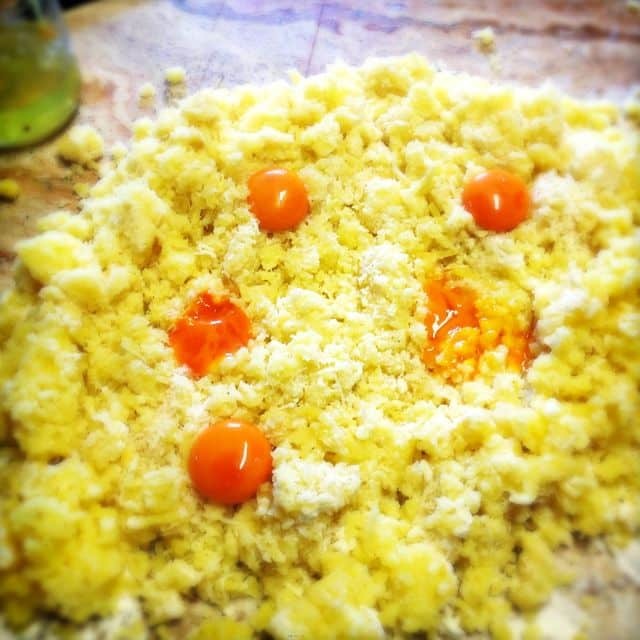 On the second day of our cooking classes in Italy we made ravioli. 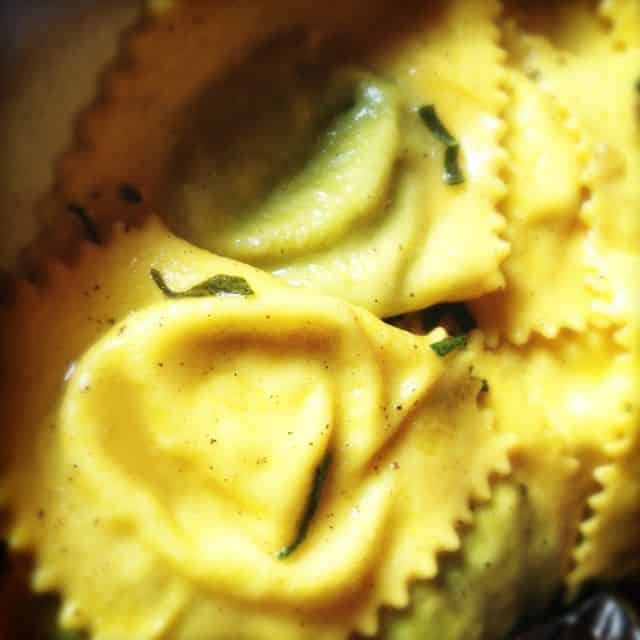 I’ve never been a fan of this stuffed pasta, but what we created in our kitchen was the most delicious ravioli I’ve ever tasted. 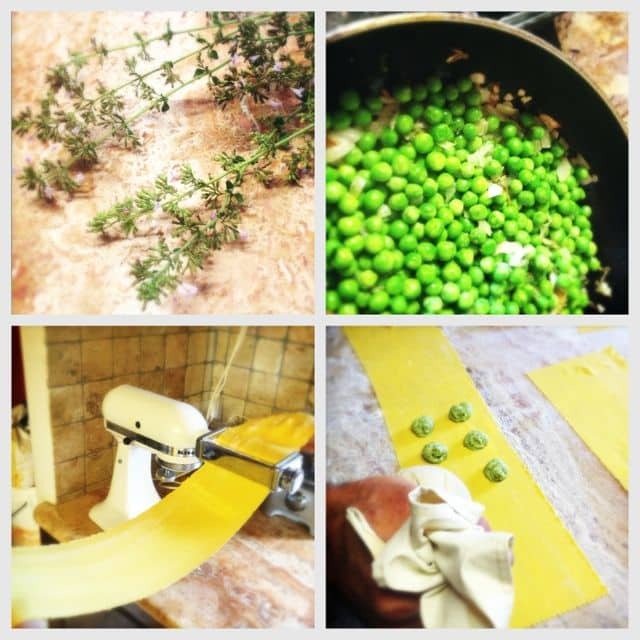 Not only did we make the pasta but we also created and piped in the filling, made of pea, nipitella – a member of the mint family – and soft pecorino cheese. The next day we picked tomatoes from the garden, washed, boiled and put them though an electric press to make fabulous tomato sauce, which was then used on our lunchtime spaghetti. Later we discovered the joy of creating and cooking pizza, and the even greater joy of eating it. 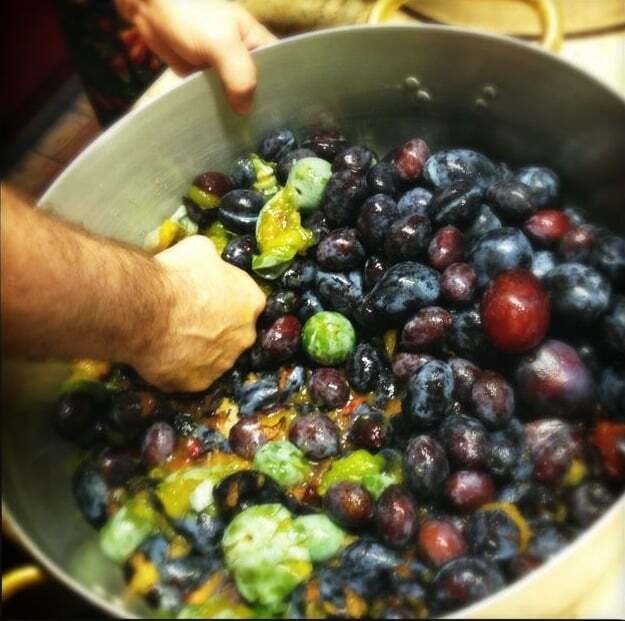 It was great fun to be elbow deep in tomatoes, flour and eggs while creating wonderful meals, desserts and jams. As a group we took turns picking, preparing, chopping, kneading and cooking all of the dishes. 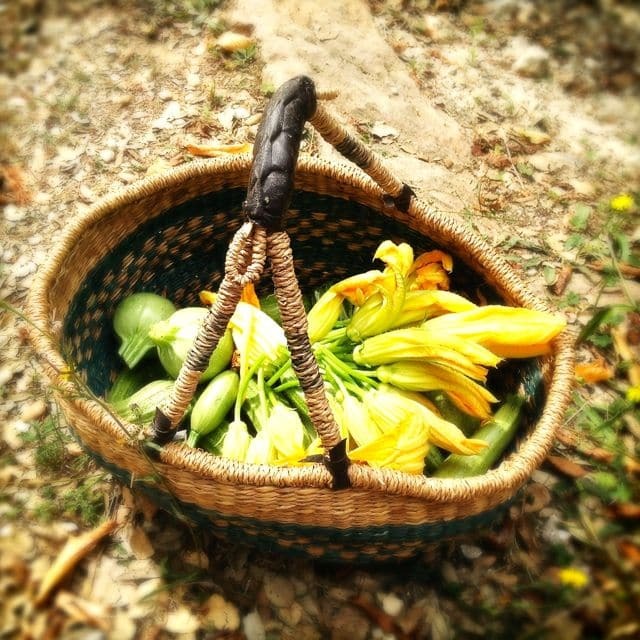 We saw the whole process of making Italian food through from garden to table. And everything tasted so much better for being freshly prepared. I also have to admit to feeling a sense of achievement at having prepared dishes with my own hands. Overall the cooking classes were first rate, and as a novice cook I ended the course feeling empowered and inspired to try my new skills at home. I won’t claim to be the finished product, I’ll never take part in Masterchef, but my knowledge and confidence has soared, and I’d certainly try another cooking class in the future. 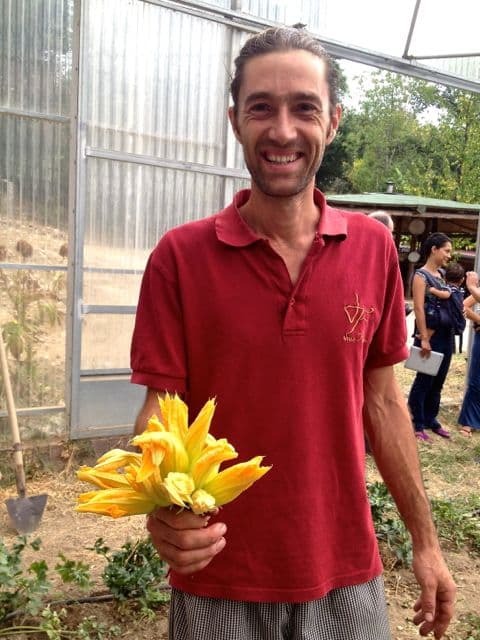 Stefano was good humoured, patient, and immensely knowledgeable, he certainly added to the experience, and helped put me and the others at ease in the kitchen. The course had plenty of content to increase my skills, enough fun to make it enjoyable, and it was not unduly difficult for a cooking virgin like me. 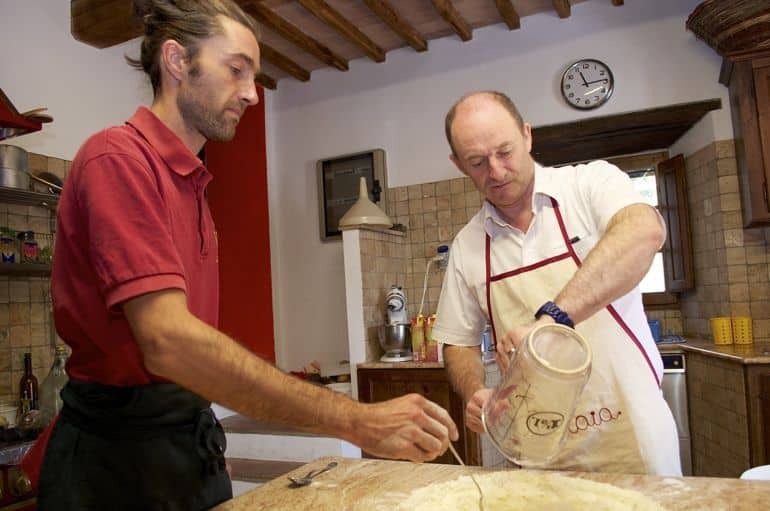 Villa Ferraia offered a great setting in which to learn – it provided a taste of traditional Tuscany, while the cooking classes brought authenticity to my plate. Sounds and looks fabulous. Just wish i could smell an taste it too! 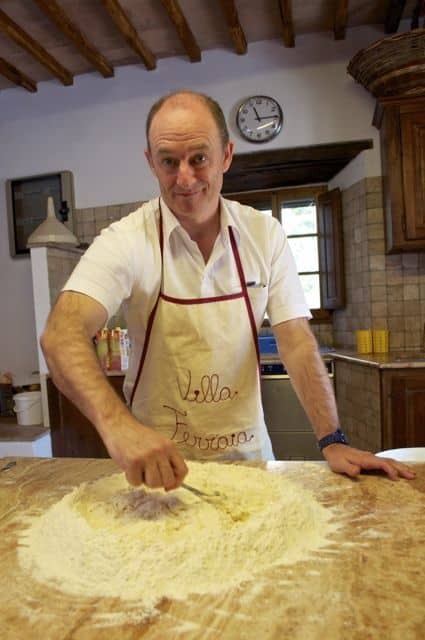 I recently spent an afternoon learning how to make pasta in Italy. Really is a great way to get closer to a countries culture. Glad you liked it Becky. It was a great time and I learnt so much, would love to do it again. The ravioli was surprisingly easy to make. I’m available for classes for those with a discerning palate, hmmmm perhaps not. Thanks Raffaella, I’ll bear that in mind when I return to Tuscany. 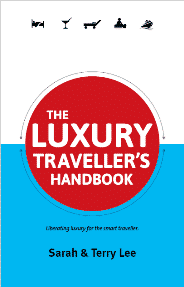 This is a great example of how visitors can enjoy an authentic experience in Italy, learning about the less touristy aspects and taking it easy, instead of running around in busy overcrowded places! Loved the article. Absolutely, I really got a lot from it. I was surprised by how much I enjoyed it and how easy some of the dishes were. 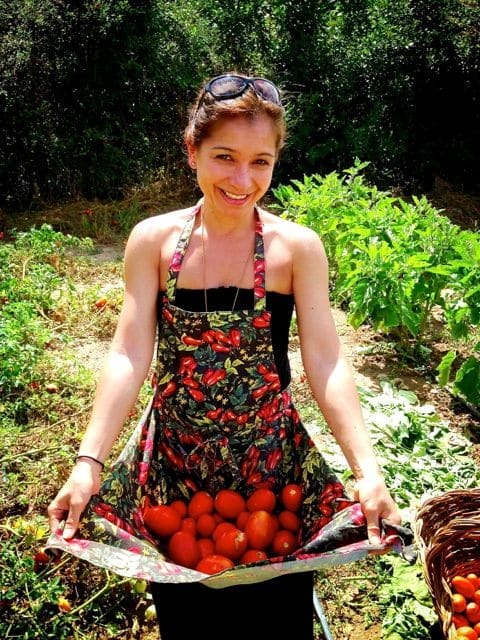 I enjoyed reading about your journey with cooking and I’m glad you feel more confident with your cooking skills. It seems more countries are offering cooking classes, and I think it’s a great way to explore and experience a culture.